This company was founded on the belief that providing good food and service at a fair price will keep the customers coming back. Love steak & egg breakfast burrito, really good. Good food and it's delicious, we enjoy it every week. Tina has delicious food with a great variety. 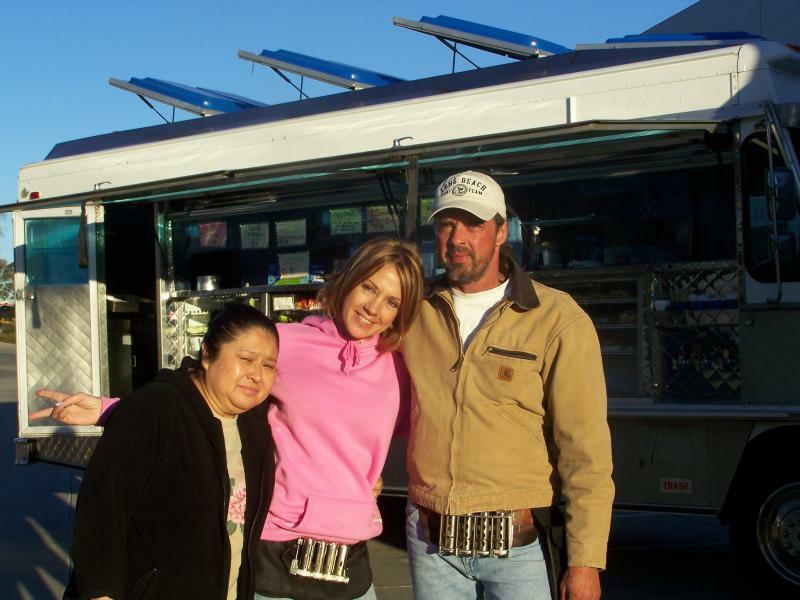 It's convenient and tastey and always served with a smile !not your typical catering truck! Love yo biscuits & gravy. Victor Huffman from huffman's barbeque & catering. Missing you and your food. loretta from Building Repair inc.
Tina has one of the best Lunch Trucks I ever eat of. Clean, healthy and wholesome food. I love Tina's Bistro!